Christmas is nearly upon us, but there is still time to get some funding to help with slow payments over the holidays, however you need to act quickly and get in touch. In this edition, we also have details of a 100% funding offer for your life as a customer. 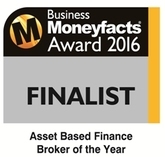 It is my pleasure to announce that FundInvoice have been nominated as "Finalists", for the 2nd year running, for the Business Moneyfacts Award for the Best Asset Based Finance Broker 2016. We need your vote, and testimonial, to help us win this award so please help us by voting for FundInvoice LLP. Below you will find some useful resources about tackling slow payments and our new telephone research services. A great new offer from one of our funding partners - 100% invoice finance funding levels (less charges) for your life as their client. A very bold offer for a limited period only. The offer is open to new customers of one particular funding partner, and you must have an annual turnover of between £300,000 and £5,000,000. For details and the full terms and conditions please . 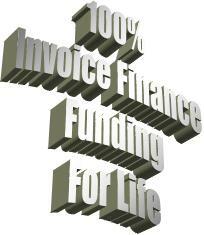 . . information about 100% invoice finance for life. We have a lot of resources on our websites to help you with slow paying customers. Please read our new article: Help With Slow Paying Customers. Of if you are dealing with Local Authorities read our advice about how to collect outstanding payments: Help Collecting Overdue Invoices From Local Authorities. We are able to help you by designing and undertaking telephone research surveys, on your behalf. This could be to check customer satisfaction levels and aid retention, to find out why customers didn't buy from you or to undertake market research. We only charge for completed interviews (and a report if required) so there are no set up costs. We can also handle small numbers of interviews. For details please . . . see our phone research services. FundingVoice magazine is published by FundInvoice LLP. By contacting FundInvoice LLP or any of its partners via this publication, or our websites, you are confirming your acceptance of our Standard Terms and Conditions. FundInvoice LLP is registered in England and Wales with the partnership number OC387824. Registered Office: Hilden Park House, 79 Tonbridge Road, Hildenborough, Tonbridge, Kent, England, TN11 9BH.